The Tax Cuts and Jobs Act still has significant impact on the process of estate planning. This means that many estate planning attorneys have had to adapt and re-strategize the best way for clients to take advantage of these federal gift tax and estate exemptions. One-third of respondents in the recent TD Wealth study identified that clients have benefitted from creating trusts to protect assets. Other estate planning lawyers have pursued options like minimizing future capital gains tax consequences and making gifts. All of these strategies can be accomplished by using tools such as trusts. Rather than giving a child an outright bequest or gift, many are parents are instead choosing to use a trust as a way to protect assets from what could be future claims in a divorce. This asset protection planning strategy also has benefits from protecting the items placed inside a trust, when properly funded, from being attacked by creditors who file lawsuits. Estate planning looks not just at the impact of state and federal taxes, but also at how you will pass down your legacy. Many tools are available to you to help accomplish your individual estate planning goals- talk to an attorney to learn more. 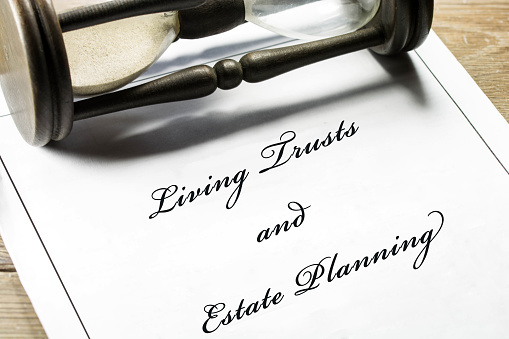 Many people making use of an estate planning attorney’s services still benefit from asset protection planning strategies and estate planning strategies that allow for meaningful gifts named to beneficiaries without compromising privacy, safety and security. A durable power of attorney is an important document for protecting yourself. However, from an institution’s point of view it is important to consider what they would look at in determining whether or not a durable power of attorney is actually valid. A power of attorney could be a rescinded one as a result of a falling out or it could even be forged. Financial institutions will typically take several steps to determine whether or not a power of attorney is valid in order to protect themselves from liabilities associated with a lawsuit. If you are going to put together your own durable power of attorney, there are several steps you can take to increase your chances of this being viewed as a valid document. First of all, verify whether your institution has a form of their own that they would prefer you use. Filling this out gives them much more comfort in obeying an agent’s orders. Secondly, introduce the agent in your durable power of attorney to your local financial institution so that they know one another already. If an agent is unable to get approval on a power of attorney, request more information to learn why. This could be an ideal opportunity to change the wording on your document. After you’ve hired a Virginia estate planning or elder law attorney, it might also make sense to have them talk to your institution’s legal department. Sometimes, staff may be misinterpreting what the firm’s requirements actually are. In order to have a durable power of attorney honored that is currently being questioned as invalid, a lawsuit may be necessary. Guardianship may also be a last resort in these situations. Thankfully, consulting with an experienced estate planning attorney can help you avoid this problem altogether. The English language has its share of beautiful words, ones that are a pleasure to hear and practically poetry all by themselves. “Audit” is not one of them, according to the investment advice website Motley Fool. It is, in fact, one of the more frightening words around, a recent posting noted. 1. Report all of your income. 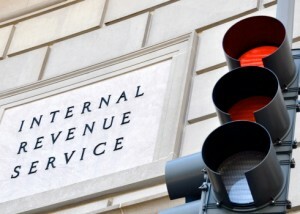 First and foremost, failing to report income from a W-2 or 1099 is an easy way to get audited. 2. Over-document your tax breaks. If you have any tax deductions or credits that could be considered unusual, be sure to thoroughly document every penny you claim. 3. Be careful when claiming business use of a vehicle. If you are self-employed or own a business, you are allowed to take a deduction for the business use of your vehicle. While there is nothing wrong with this, claiming that you use your vehicle for business 100 percent of the time is sure to raise some eyebrows. 4. Try to avoid filing an amended return. If you forget to claim a deduction or credit, or need to make any other corrections after you file your return; you have the option of filing an amended tax return. Try to avoid this situation if possible. 5. Check your numbers, and then check them again. Mathematical or typographical errors are a major red flag. 6. File electronically. Granted, it is 2016 and most taxpayers now file their returns electronically. However, there are still a significant number of people who use paper forms, particularly older taxpayers and those with simple (1040EZ) returns. The problem with using paper forms is that it’s much easier to make an error that will catch the eye of the IRS. 7. Be honest. This should be obvious, but the best way to avoid an audit is to be 100 percent honest when filling out your tax return. Irrevocable sounds so very final, but in some states, appearances can be deceiving. According to a National Law Review article, people who created lifetime irrevocable trusts to avoid estate taxes don’t have to live with them irrevocably, in some instances. 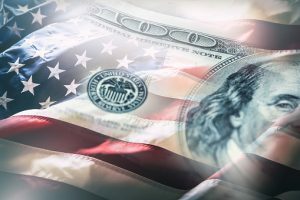 “The assets in the irrevocable trust pass upon death free of estate tax,” according to the item “To achieve the estate tax advantages, the client needs to give up control, which necessarily means the trust is irrevocable. An example given in the article is if the create of the trust, for whatever reason, wants to change the trustee or even the location of the trust, along with the change in how the money will be disposed after death. “Fortunately, a number of states now allow irrevocable trusts to be amended, even without court involvement,” the story states. Legally acceptable means of amending provisions without court approval, called “decanting” and “nonjudicial reformation,” can change what might originally have appeared permanent. 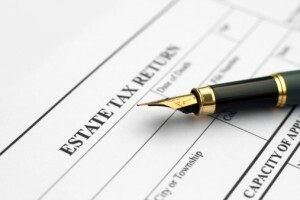 “The dilemma is whether these changes could jeopardize the estate tax advantages the client desired and obtained at the creation of the trust,” the article goes on. Making a will and keeping it up to date are only part of what people need to do to ensure their wishes are properly carried out after death. Selecting the right executor for an estate is also vital. “What’s the lesson? Even if you have an expert, you have to pay attention to the matters at hand,” the article quotes Jon Hoffheimer, a lawyer who the court appointed to administer the estate as a co-fiduciary with the executor in question after it became clear that she wasn’t up to the task. Most people, the story goes on to point out, choose a friend or relative as executor, while relying on an estate attorney to ensure a proper will is on file. “But it’s the executor who bears the ultimate responsibility to make sure it’s done, on time,” the article notes. The best approach, professionals in the story advise, is to clearly list all the duties of an executor under the terms of the will and have that person sign the document long before these actions have to be taken. Estate planning, like pretty much everything else in life, is subject to trends, as pointed out recently by the website wealthmanagement.com. The article serves as another means of advising that estate plans are far from static, but must keep up with changing times and changing laws. The website article focused on four of these emerging trends. In the somewhat macabre Forbes magazine’s annual list of “where not to die in 2015,” some changes are noted over the recommendations for the current year. The biggest changes, the story noted, were made in New York and Maryland. “The Maryland legislature acted first. The new law gradually increases the amount exempt from the state estate tax from $1 million this year, to $1.5 million in 2015, $2 million in 2016, $3 million in 2017, and $4 million in 2018. Finally, in 2019 it will match the federal exemption, which is projected to be $5.9 million. In New York, lawmakers decided to more than double the exemption for deaths after April 1 of this year, from $1 million to $2,062,500. The exemption in the Empire State will also increase over time, to eventually match the federal exemption, reaching $5,250,000 by April 1, 2017. “Other states where the exemption amounts are climbing include Tennessee, Minnesota and Rhode Island,” according to the article. “Tennessee’s estate tax is on its way out; the exemption is $5 million for 2015, and it’s repealed as of Jan. 1, 2016. Minnesota’s exemption is climbing steadily; it will be $1.4 million in 2015, going up to $2 million in 2018. Rhode Island bumped its exemption amount from $921,655 this year to $1.5 million in 2015. The $1.5 million will be indexed for inflation. Also a big deal: Rhode Island eliminated a “cliff” so the tax only kicks in on amounts above the $1.5 million exemption amount. Good estate planning goes behind the numbers to take the individuals involved into account. When it comes to giving gifts to family and loved ones through a will or while still alive, there are tax implications to be taken into consideration, but a host of other factors come into play, as well. A recent article on the Motley Fool website dealt with the subject in some detail. “You’re in your golden years, and you’re thinking hard about estate planning,” Paula Pant, a contributor to WiseAdvisor, wrote in the article. “You want to leave gifts for your heirs, but should you wait until you pass away? Or should you give some money to them now? Pant goes on to point out that currently the law allows a lifetime gift limit of $5.34 million, after which taxes of 40 percent are imposed. But there’s also the added complication of an annual exemption $14,000 to consider. A good estate planner will help people make up their minds from a purely financial perspective which options are the best for taking care of heirs. Exceptional estate planning will help clients come to grips with the pros and cons to either approach Pant points out in her Motley Fool contribution. You get to see them enjoy it. If you’d prefer to see your gifts in action, giving your heirs the money now gives you a chance to see the difference it makes in their lives. You can advise how they spend it. If you’d prefer to see your gifts in action in a specific way, giving the money while you’re still alive gives you a chance to let your heirs know how you’d prefer they spend it. You can give the gift in the form of paying for something. If you really want to ensure the money is spent on the thing you want it to be spent on, you can pay for something rather than giving your heirs the money for it. You can stop giving them money if you see them falling off the rails. You may need the money later. 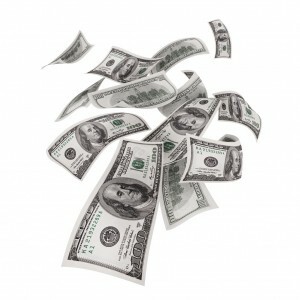 What if you find that you need the money to pay for your own expenses during your lifetime? Your heirs might appreciate it more and spend it more wisely. By waiting until you’ve passed away, you give your heirs a chance to ‘make their own way in the world’ at a younger age. Rather than relying on an annual cash infusion from you, your heirs will be older and more responsible when they receive the inheritance. This might cause them to appreciate the gift more, as they will have experienced the task of earning money.